"The seasonal slogans often substitute for thinking and analysis. The powerful-looking chart...actually translates into a 1% monthly difference in performance. 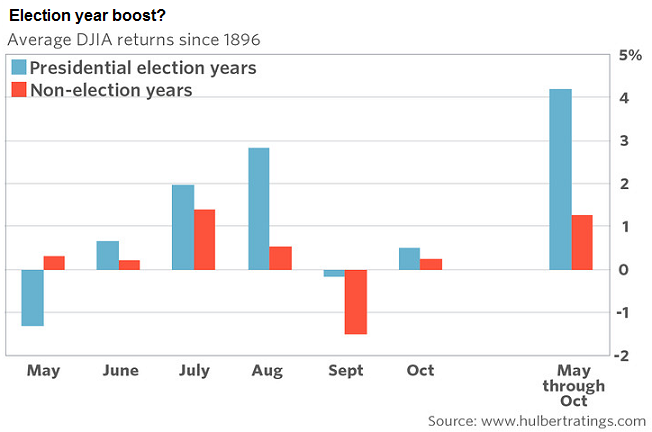 The "good months" gain 1.3% on average while the "bad months" gain about 0.3%. To make a wise decision you need to make an objective quantitative comparison between the economic trends and the small seasonal impact. The Great Recession has been followed by a slow and plodding recovery. We have an extended business cycle with plenty of central bank support." 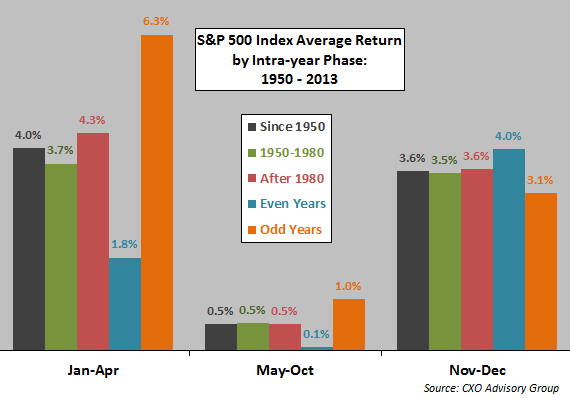 The below chart displays the average returns for various intra-year periods. "The “strategy” did not work for the three years from 2012-2014, or for the five years from 2003-2007, when there were gains between May and October in each year. In addition, as you can see in the [table in the article], there is a meaningful difference between how the market performs from a seasonal perspective in secular bull or secular bear markets. Average gains and the percent of positive cases have been higher in secular bulls than in secular bears (even if they are still lower than in the November through April period)." 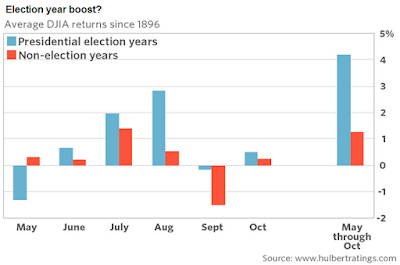 So certainly, a "Sell in May" strategy has historical validity, but the weaker return in the May to Oct. period does not mean the returns will be negative. Take under consideration we are in a presidential election year, and yes, the May to Oct. period is the strongest. 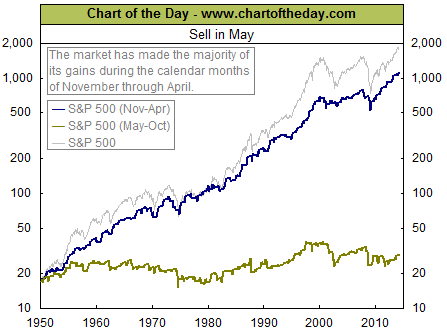 The "sell in May' strategy is certainly not as clear cut as the adage states. Additionally, with all the focus on the strategy now, the market tends to enjoy proving the consensus wrong.